—and the families who love them. Consumers with disabilities represent a $1 billion market segment. Add in the 23 million parents in the U.S. who have at least one child between the ages of 5 and 16 who has a disability and the buying potential is enormous. But that looks like it’s about to change. Granted, major retailers and brands (think Gerber and Target) have included individuals with the special needs in their efforts, but now this seems to be going more mainstream—from the London bridal shop window featuring a mannequin in a wheelchair to Benefits Cosmetics, which earned accolades recently for hiring a model with Down syndrome as a brand ambassador. As the mother of a child with special needs, I couldn’t be happier. My son has a rare genetic disorder called Williams syndrome as well as epilepsy. He tends to get overwhelmed when overstimulated—whether from too loud music or too many kids—which can cause him to get flustered and eventually melt down. He is also developmentally delayed and doesn’t understand the same things a “neurotypical” child his age would know. The special needs community is always seeking ways to engage our children without overdoing it. But engaging this group isn’t without its risks. Companies fear they won’t represent the disability correctly and get a lot of backlash. I don’t blame them. It’s a sensitive topic—even for someone on the “inside” of this community. When communicating appropriately to the special needs community, “people-first” language is key. 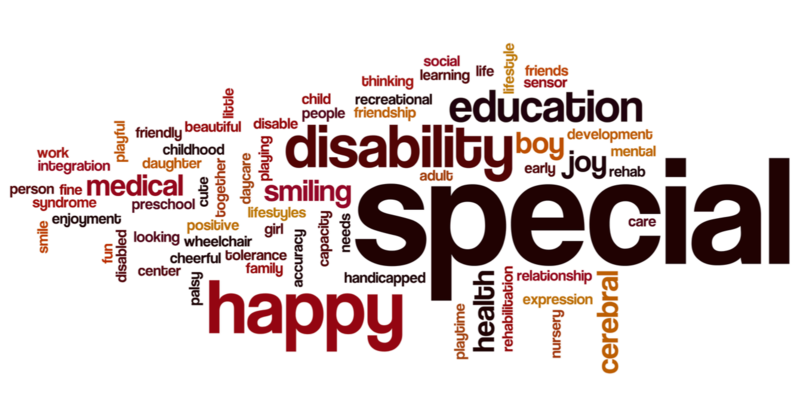 For example, when marketing a particular product or service for children or adults with disabilities, it is incorrect to label them “a disabled person” or “an autistic child.” The proper language is “a child with special needs” or “a person with autism or ASD (Autism Spectrum Disorder).” The disability should never define the individual. You don’t want to come off insensitive or insulting but we also don’t want your pity either. It’s a calculated balance that not only targets the person with the disability but their families as well. That shouldn’t prevent brands from actively reaching out to me and other moms. I can tell you from experience that there is very limited marketing out there that engages and targets people with special needs and their families. A business may offer services or products for someone with special needs but may not aggressively market it. Enter the world of social media! If it wasn’t for the group pages that I follow on Facebook, I wouldn’t have known Disney World offers “services for guests with cognitive disabilities,” which is amazing! A coincidence that I read about it on social media? Probably not. We also have retailers like Target and Tommy Hilfiger that are beginning to jump on the “adaptive clothing” bandwagon. The clothing is made without tags or seams, a score for children who find new textures irritating. Bodysuits are easy access for diaper changes, while wheelchair-friendly jackets have side-openings and zip-on sleeves for easier dressing—a great example of expanding and enhancing a product line for a key consumer subsegment. Now it’s time to step up the volume. 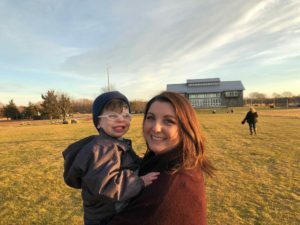 If I don’t actively search, ask fellow moms, or really dig for something special-needs related, then I most than likely won’t see it advertised. Targeting the special-needs segment is great, moving us into the mainstream marketing—and being really inclusive—would be even better.